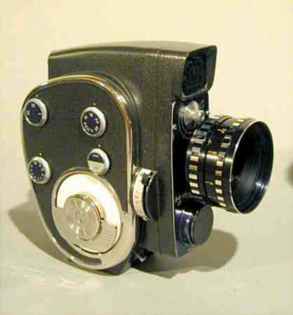 Produced in 1968, this movie camera is a 16mm, and is equipped with two interchangeable lenses: a HTI - 0,5x 6,25mm and a HTI - 2x 25mm. 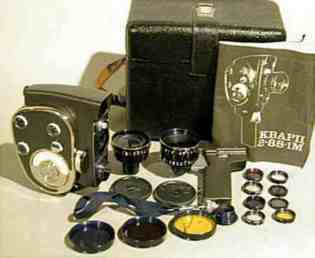 Film sensitivity range is ASA 12 to 100. It weights kg. 1,200 and the measures are the following: 120x62x145. Besides it is equipped with 11 filters, a handbook in russian language.